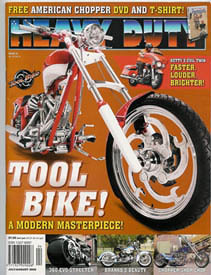 Check out Fix My Hog product release info that the industries top magazine’s have shared with riders and Harley wrenchers worldwide. 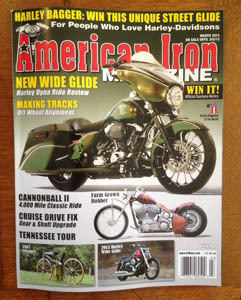 September 14, 2013 By American Iron Magazine & filed under Press Releases. 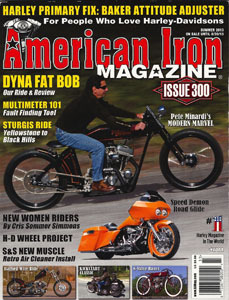 American Iron Magazine is now partnered with Fix My Hog’s Know Thy Hog video membership. Offering original, new instructional maintenance and performance how-to videos, Fix My Hog allows members to stream content anywhere on their computer, tablet, smartphone, or other mobile devices. AIM has worked with Fix My Hog to create several videos that answer common questions from American Iron’s readers and to expand the video topics in the Know Thy Hog online platform. By joining Fix My Hog, Harley enthusiast are provided with member-only content, and new videos delivered on a monthly basis. Readers can choose between a monthly or annual membership. 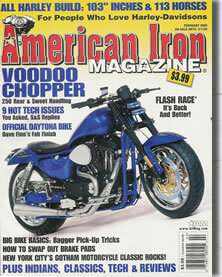 February 14, 2013 By American Iron Magazine & filed under Press Releases. December 11, 2012 By Michele Kolipano & filed under Press Releases. San Diego, CA, November 13, 2012 – Dennis Santopietro, founder of Fix My Hog, makers of the popular do-it-yourself Harley-Davidson® motorcycle maintenance and performance DVD series, today announced that TN Marketing has acquired the assets of Fix My Hog. This exciting venture will bring an immediate Fix My Hog video shoot to produce more “how-to” content and a new streaming video section on www.FixMyHog.com will be launched in December. December 11, 2012 By Outlaw Biker & filed under Press Releases. 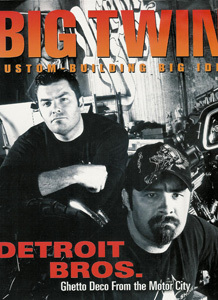 Fix My Hog Inc. produces do-it-yourself Harley maintenance DVDs. The DVD format allows the viewer to advance chapter by chapter or scene by scene; you can even pause to see a clear, still image in detail or back up if you need to check something out over and over again. The verbal instructions backed with the visual examples makes the DVD far easier to follow than the printed manual. Along with their Softail, Sportster and Touring editions, Fix My Hog has now ventured into aftermarket territory, releasing DVDs designed to show riders how to enhance the look and performance of their Softail/Dyna and Touring model bikes. Taped in a professional motorcycle repair shop, each three-DVD set is crammed with more than six hours of valuable instructions, interviews and insider tips from trained mechanics who perform and explain each upgrade in detail. December 2, 2012 By Stephen Berner & filed under Press Releases. San Diego – based Fix My Hog, Inc. has published an educational do-it-yourself motorcycle maintenance DVD that will help Harley-Davidson enthusiasts become proficient in routine upkeep. This DVD gives Twin Cam Softail riders the background information necessary to perform many of the basic maintenance functions recommended by Harley. Even if you have no interest in doing the work yourself, the content of this class is still useful. 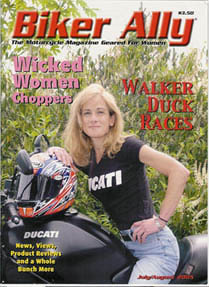 December 2, 2012 By The Australian Biker's Journal & filed under Press Releases. So you want to learn a little about your Harley? Well then Fix My Hog may just be the ticket for you. These maintenance DVDs are produced for Softail and Touring models and are designed to decrease the time and expense of servicing your bike. Featuring professional mechanics, each DVD walks the uninitiated step-by-step process through servicing their motorcycle, checking the charging system and which tool as are required for each job. It’ll be ideal for the beginner or as a refresher fro those who haven’t swung on a spanner for a few years. Even Loaf reckons he learned a thing or two. December 2, 2012 By Heavy Duty Magazine (Australia) & filed under Press Releases. Remember when you were a kid and you had to replace the clutch on that old bush basher you’d had for years? December 2, 2012 By Karen Miller & filed under Press Releases. Do you have a Harley Davidson? Do you want to learn some of the tricks to maintaining it the right way? Well, currently on the market is a great DVD from Fix My Hog, Inc. This DVD will teach you step by step how to do basic maintenance and also teaches you a lot about your bike. Some of the topics covered in the Touring Edition DVD for Twin Cam and Evolution bikes, Seat Removal, battery check, throttle cable lubrication, primary fluid service, front fork removal, calipers, rear tire removal, draining fuel and fuel tank filter, spark plug removal and much more. 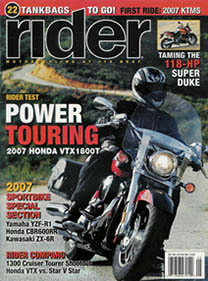 December 2, 2012 By Rider Magazine & filed under Press Releases. Fix Your Hog with these do-it-yourself instructional manuals. New from Fix My Hog, Inc. is the first-ever DVD series designed to show riders how to enhance the look and performance of their Softail®, Dyna®, and Touring models. 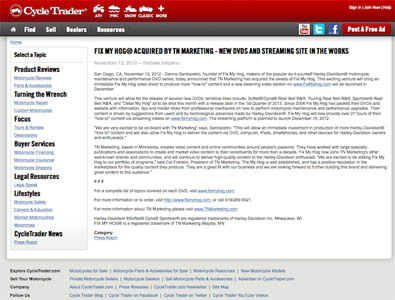 December 2, 2012 By Big Twin Magazine & filed under Press Releases. After the success of its do-it-yourself Harley-Davidson maintenance DVDs, Fix My Hog, Inc. has expanded its lineup to include two Bolt-On Performance and Accessory DVD sets: one for Softail and Dynas, the other for Tourers.